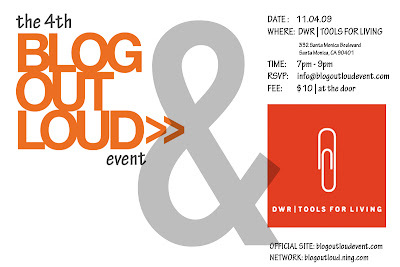 Hope you guys can make it out to this Blog Out Loud Event in Santa Monica. Yours Truly will be on the panel along with Gregory from AT, Haily Zaki (one of my favorite people), Alissa Walker (someone I totally admire) and Emily Goligoski of the sanfranista who I can't wait to meet! Aw, thanks for the admiration! It is totally reciprocal! Great to hang out and I hope we can go have a long leisurely brunch with Haily soon! 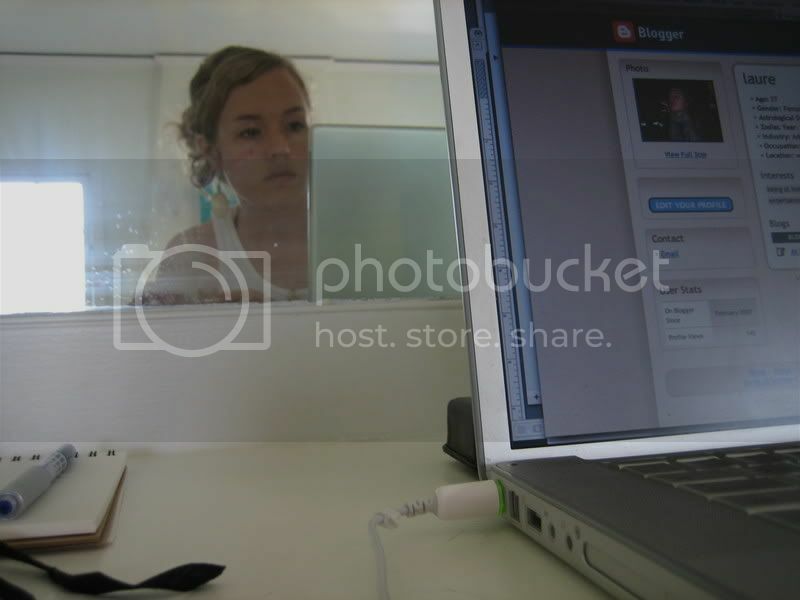 Hello, cool site/blog. I was wondering if you could tell me where you got the two wooden chairs opposite the brown couch in the West End Loft photos posted on 10/19/09. Thanks. mwm--they were vintage and we found them at the Rose Bowl. Get there early!